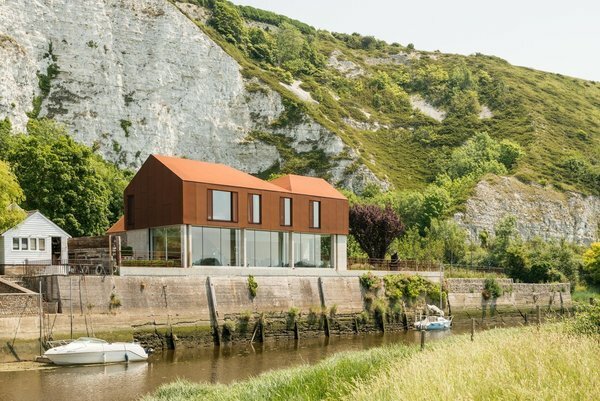 Perched along the banks of the River Ouse near the historic English town of Lewes is a Cor-Ten steel house with a “carved-away” ridge that’s geometrically striking. 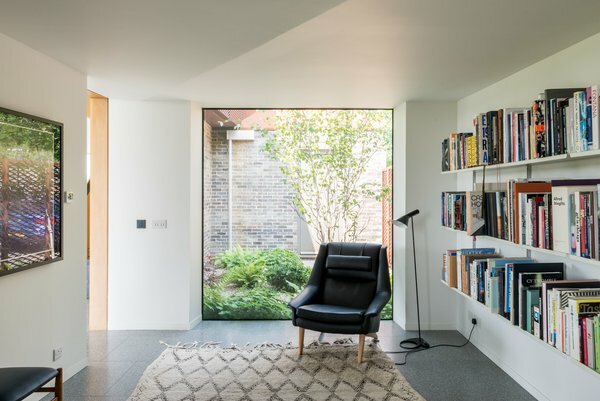 Though this 2,808-square-foot home in Lewes, East Sussex, England, used to be an old workshop, Sandy Rendel Architects transformed it into a beautiful modern home with a building shell that was made of SIPS (structured insulated panels), and prefabricated offsite. It’s now available to buy for approximately $2.54 million. 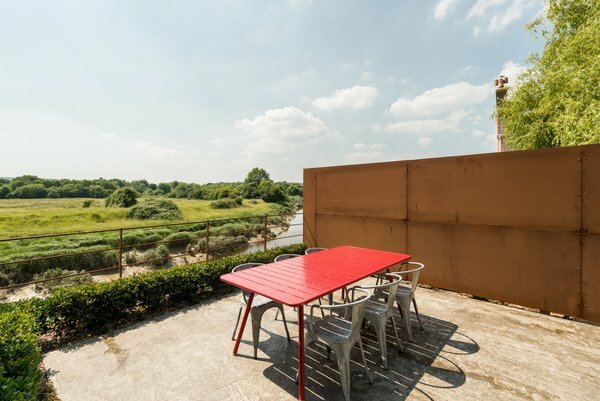 Sited off a roughcast concrete river wall, within an area known as South Downs National Park, the property is set against an intense backdrop of a cliff that rises steeply from the ground. 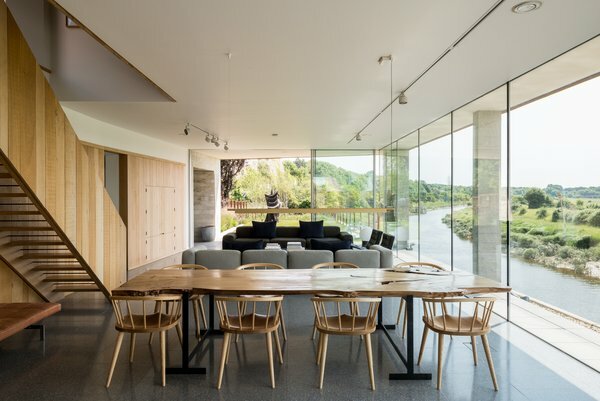 The layout of the house orients the interiors in a way that allows for serene views of a river and low-lying meadow, while external pockets of shelter on the road-facing side serve as sound buffers.